BARACK Obama emphasised the need to ‘build bridges and not walls’ during a meeting with Spanish prime minister Pedro Sanchez yesterday. 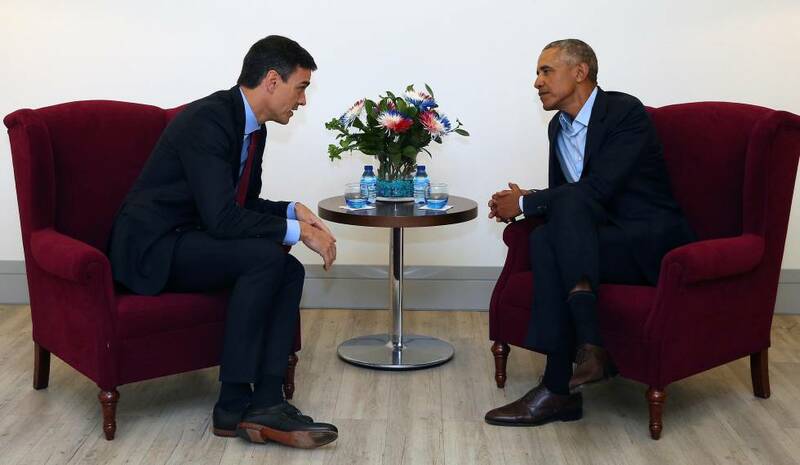 The former US President and PSOE leader exchanged views on migration and climate change in the 30-minute meeting at the World Trade Summit in Sevilla. The two keynote speakers at the tourism conference agreed on ‘the importance of multi-lateralism’ and on ‘building bridges, not walls’ to address such issues. 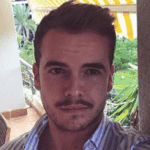 Both leaders alluded to the dangers facing Spain due to climate change in their speeches. “Spain is one of the most exposed countries and that is why we are among the most committed to the 2030 agenda,” Sanchez said. Obama warned against a sharp increase in migration due to soaring temperatures and dwindling resources. The pair also talked about immigration policies and how to ensure respect for human rights. 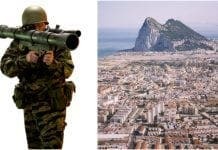 Their meeting yesterday came a day after Vox leader Santiago Abascal, reiterated his party’s intention to build a Trump-style wall in Ceuta and Melilla. Rounding off their meeting, the leaders discussed the importance of the younger generation and their involvement in politics. The topic was a focal point of Obama’s conference speech, in which he said promoting the leadership of young people is now one of his main objectives.